Since the time that man first made contact with mice and other rodents he has looked for ways to be rid of them. History has given the consumer numerous options, from traps and glues to numerous poisonous concoctions, that while effective in getting the job done often neglect issues of health and safety in the process. Enter Kari Warberg, an entrepreneur from Stanley, ND who in 1993 decided that it was time to turn the traditional image of what a mouse repellent could and should be on its ear. She quickly understood the need for an easy to use solution that was not only effective in repelling mice and other rodents but also more importantly safe for the consumer and the environment. The end result of Warberg’s research and testing yielded the revolutionary product FRESH CAB® mouse pouch, a rodent repellent unlike any other. 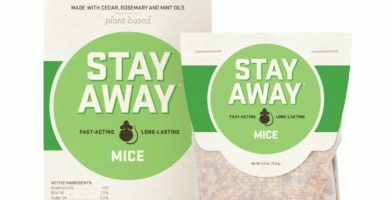 The FRESH CAB mouse pouch contains an active plant ingredient, balsam fir, that delivers an aroma, which drives rodents crazy, confusing their natural instincts, whereby they quickly vacate any area where FRESH CAB mouse pouches are placed – minimizing the chance of damage and/or potential disease caused by rodents invading a person’s property. The FRESH CAB mouse pouch has been proven effective for up to 30 days by independent EPA lab testing (in infested areas), and an average of 90 days by independent field studies and customer surveys, and has been endorsed by the National Home & Garden Club, Good Sam Club, and USDA. It’s effectiveness as a rodent repellent is superior, but what really makes the FRESH CAB mouse pouch stand apart from other rodent repellents is that THE FRESH CAB MOUSE POUCH IS THE ONLY EPA EVALUATED AND APPROVED BOTANICAL SOLUTION TO INDOOR RODENT PROBLEMS ON THE MARKET. Chemical bait stations contain toxic chemicals that are considered by the EPA to be dangerous to children, pets and other non-target animals. 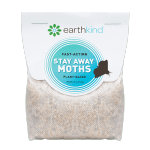 As a result, the EPA has recently asked retailers across the country to remove toxic bait on store shelves and will enforce stricter guidelines in the future for the sale of animal bait that contains harmful poisons. Glue boards and mechanical devices offer alternative solutions but are messy to use and their effectiveness is limited. Other repellents such as mothballs and electronic repellers are under fire for potential health risks or their general effectiveness. The Fresh Cab mouse pouch is a botanical or “plant based” rodent repellent for indoor use, and is the absolute preferred method of repelling rodents from areas where kids or pets are present or where poisons and traps are not desirable. The FRESH CAB mouse pouch is sold in Tractor Supply Company (TSC) and Menard’s stores across the country. TSC was the first national chain to retail the FRESH CAB mouse pouch, which has quickly become one of their more popular pest products. From start to finish the FRESH CAB mouse pouch is a product that has been specifically designed to be environmentally safe, using “green” ingredients that are not only harmless for people but also for the environment by means of a “From the Earth to the Earth” blueprint that is eco-friendly. From the materials that make up its packaging, which consists of recycled paper, soy ink and 100% wind energy used its outer package, the Fresh Cab mouse pouch utilizes a “Lean” manufacturing process. The end result is an environmentally “green” product that is 98% bio-based. Also as important to Warberg is the contribution her product gives back to society. EarthKind® works closely with an organization that provides developmentally disabled individuals the opportunity to assemble the FRESH CAB mouse pouch product, not only giving them an employment opportunity they might not otherwise receive but also a sense of pride in a job well done. Warberg’s ability to create innovative products while staying committed to the environment is a testament to her passion for developing products that are as beneficial to the ecosystem as they are to the consumer. The FRESH CAB mouse pouch embodies the very best of what a consumer product should and can be, combining superior functionality with eco-savvy execution. Since the time that man first made contact with mice and other rodents he has looked for ways to be rid of them. History has given the consumer numerous options, from traps and glues to numerous poisonous concoctions, that while effective in getting the job done often neglect issues of health and safety in the process. 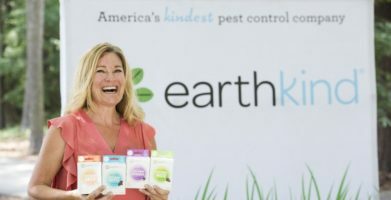 Enter Kari Warberg, an entrepreneur from Stanley, ND who in 1993 decided that it was time to turn the traditional image of what a mouse repellent could and should be on its ear. 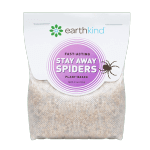 She quickly understood the need for an easy to use solution that was not only effective in repelling mice and other rodents but also more importantly safe for the consumer and the environment. The end result of Warberg’s research and testing yielded the revolutionary product FRESH CAB® mouse pouch, a rodent repellent unlike any other. The FRESH CAB mouse pouch contains an active plant ingredient, balsam fir, that delivers an aroma, which drives rodents crazy, confusing their natural instincts, whereby they quickly vacate any area where FRESH CAB mouse pouches are placed - minimizing the chance of damage and/or potential disease caused by rodents invading a person’s property. Chemical bait stations contain toxic chemicals that are considered by the EPA to be dangerous to children, pets and other non-target animals. 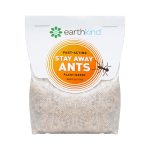 As a result, the EPA has recently asked retailers across the country to remove toxic bait on store shelves and will enforce stricter guidelines in the future for the sale of animal bait that contains harmful poisons. Glue boards and mechanical devices offer alternative solutions but are messy to use and their effectiveness is limited. Other repellents such as mothballs and electronic repellers are under fire for potential health risks or their general effectiveness. The Fresh Cab mouse pouch is a botanical or “plant based” rodent repellent for indoor use, and is the absolute preferred method of repelling rodents from areas where kids or pets are present or where poisons and traps are not desirable. The FRESH CAB mouse pouch is sold in Tractor Supply Company (TSC) and Menard’s stores across the country. TSC was the first national chain to retail the FRESH CAB mouse pouch, which has quickly become one of their more popular pest products. From the materials that make up its packaging, which consists of recycled paper, soy ink and 100% wind energy used its outer package, the Fresh Cab mouse pouch utilizes a “Lean” manufacturing process. The end result is an environmentally “green” product that is 98% bio-based. string(112) "EPA Approved FRESH CAB® Mouse Pouch - The Story of How Mother Nature Built a Better Rodent Repellent"
string(220) "Since the time that man first made contact with mice and other rodents he has looked for ways to be rid of them. 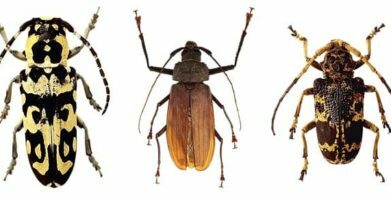 History has given the consumer numerous options, from traps and glues to numerous poisonous concoctions..."